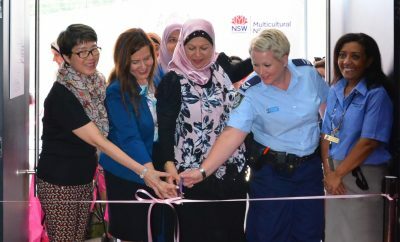 The Muslim Women’s Welfare of Australia hosted its first ever Australia Day celebration this year, in line with the organisation’s continued efforts to encourage harmony and foster tolerance within the community. 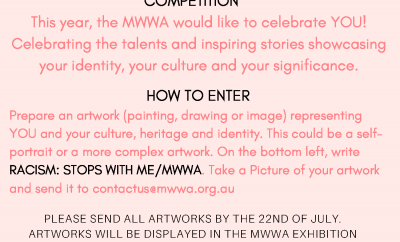 The primary focus of MWWA this Australia Day was to honor Muslim Australians who have called Australia home for many years and to get attendees thinking about what it means to be an Australian. It was also an opportunity for the community to strengthen their sense of belonging to this beautiful country. 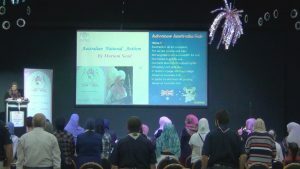 The formal event began with a recitation of some verses from the Holy Qur’an followed by a performance of the Australian National Anthem. 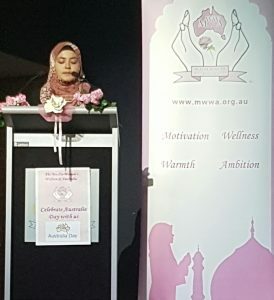 MC for the event Noura Awad then welcomed the President of MWWA Faten El Dana OAM to the stage, in order to deliver a highly informative speech about the long history of Islam in Australia. 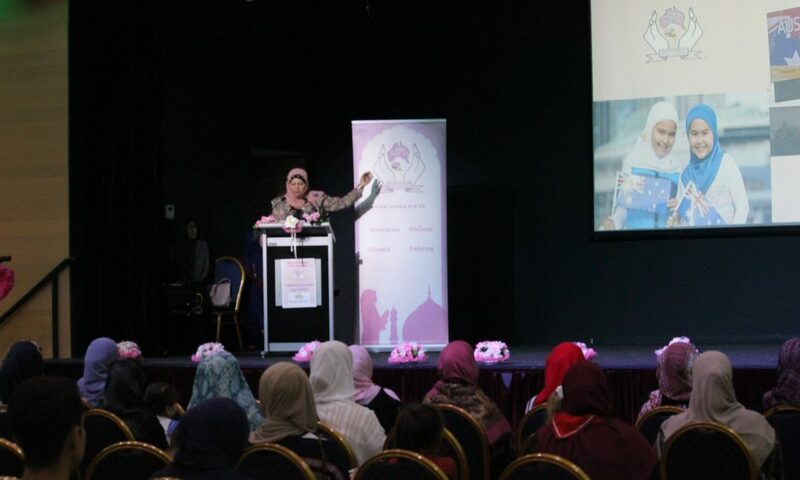 In her speech, Mrs. El Dana OAM made it clear that ‘the concept of Muslims in Australia is not a new one’ and that Muslims have actually been ‘in this country for years and even decades’. It was also noted that ‘the first formal establishment of Islam in Australia occurred when Afghan “camel drivers” migrated and settled in Melbourne, Victoria in 1860’. This was then followed a year later by the building of the ‘first Mosque in Australia in Maree, South Australia’. Over two decades later, the ‘earliest recorded Islamic festival in Australia occurred on the 23rd of July 1884, when 70 Muslims gathered at Albert Park in Melbourne for Eid prayer’. 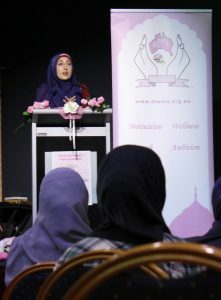 Although the speech focused on the historical context of Muslims in Australia, the recent controversy surrounding the Australia Day billboard in Melbourne which was taken down because it depicts two young Muslim girls waving Australian flags, was also discussed. A very important point was made which is that ‘those who reacted negatively toward the advertisement are the same individuals that constantly claim that Muslims do not adopt the Australian way of life. 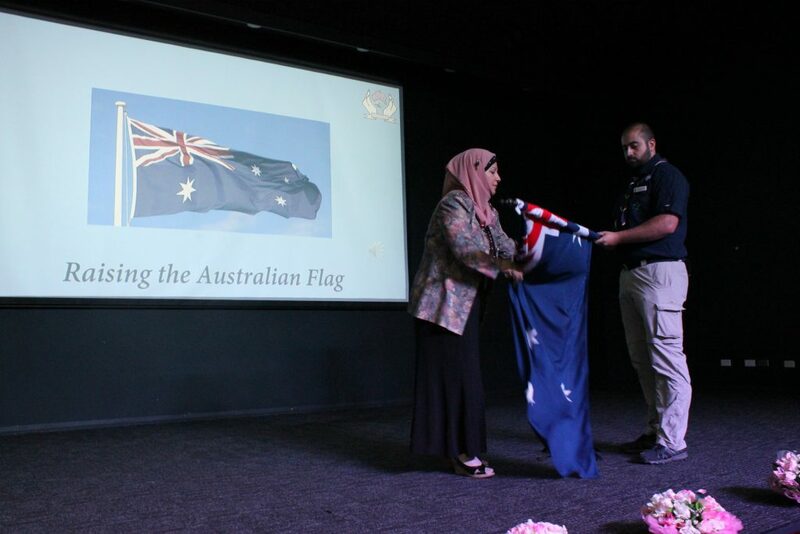 After the delivery of this speech, Mr. Muhammad Al-Shelh a member of the Bankstown Muslim Scouts was invited to join Mrs. El Dana OAM on stage to raise the Australian flag. As the flag was raised, the extremely moving chant ‘We are Muslims’ began to play. That’s the word of the extreme. Bringing all peace of mind. The teachers, the doctors, the mums and dads. We’re also very sweet at heart. These powerful lyrics filled the hall and many of those in attendance, both Australians and immigrants who call Australia home, made their way onto the stage to stand beside the flag for a group photo. The whole event was a reflection of the cultural harmony and social cohesion which MWWA advocates as an organisation. It was also a reminder of the vital role which multiculturalism plays in Australia and why there is no space for racist rhetoric in our community.